This Monday, April 8th, a SAL day is being enacted to ensure student safety and provide a safe environment for the high volume of trucks and equipment expected on site. Various crews will descend upon our school campus this day to stage and begin the demolition and construction of phase 1 of our back yard renovation project. While the school building will be closed to students this day…learning will continue at home for K-8! Teachers will make themselves available for questions via email during designated hours. All work is to be completed at home, turned in upon return, and will be counted for a grade. 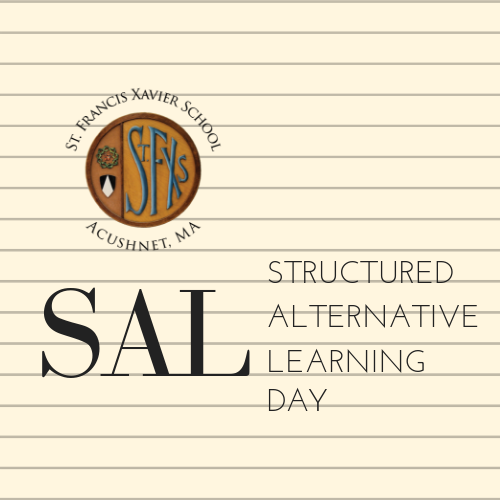 Click here for the complete SAL policy which we are piloting this year at St. Francis Xavier School. ← Register now for 2019-2020–Applications online!